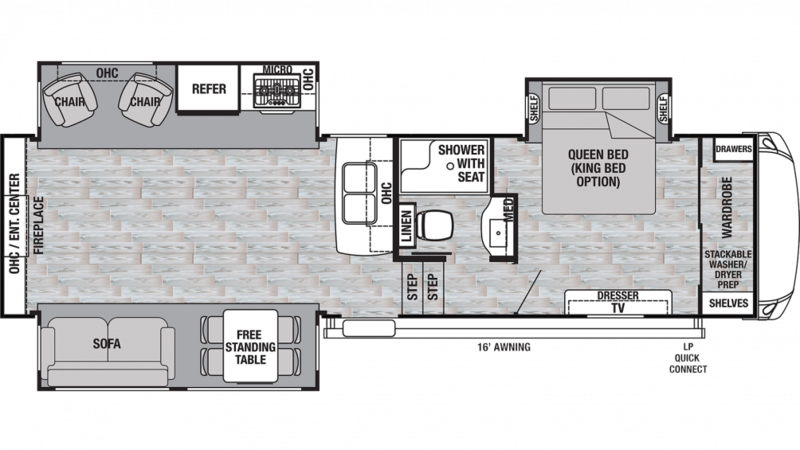 If you're looking to purchase the 2020 Forest River Cedar Creek Silverback 29RE 5th Wheel, then come and see us at Gillettes Interstate RV in beautiful East Lansing, MI! We're conveniently located at 7210 E Saginaw St East Lansing Michigan 48823, and we've been offering all the top brand RVs at competitive wholesale prices for over four decades, and you'll save $1000s on this great RV! Even if you don't live in the East Lansing area, or in Michigan, we have fast, reliable 24/7 delivery anywhere in North America! Go online, then give us a call at 517-339-8271! 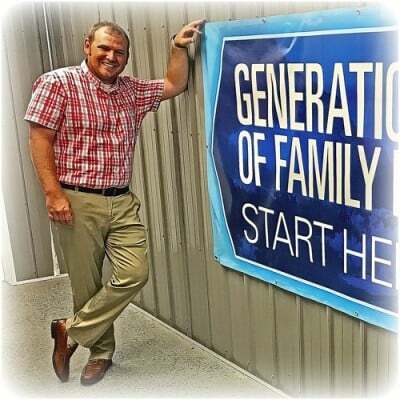 Your dream RV will be at your door in no time! 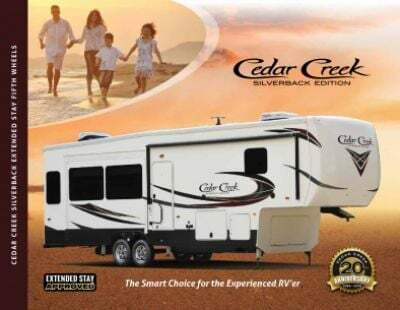 After a great day of outdoor fun, everyone can settle down for a restful night in the Forest River Cedar Creek Silverback 29RE. It can sleep up to 4 people, and the Queen bed in the master bedroom is roomy and comfortable! Breakfasts, lunches, and dinners can be great family fun times on the road, especially when everyone is enjoying a delicious hot meal. That's what you can expect every time in your Forest River Cedar Creek Silverback 29RE thanks to the great kitchen that comes with it! You'll love the 3 burner range cooktop as well as the 18.00 cu. ft. refrigerator that will let you stock all your favorite foods! With the 69 gallon freshwater tank, you'll never run out of the water to clean, drink, and cook with! Enjoy the convenience of your own personal shower and Porcelain Foot Flush toilet wherever you go! There are lbs. of LP tank capacity, so you can make that morning shower as nice and hot as you want it! The used water and waste are discreetly stored in the 80 gallon gray water tank and 40 gallon black water tank.